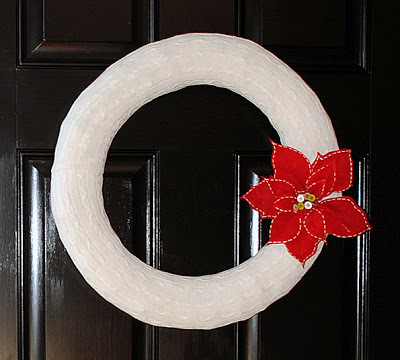 23 Holiday Home Decor Ideas! Every where I go, homes and businesses alike are all dressed up for the holidays. From twinkling lights to shiny mercury glass, everything has a special touch here and there as part of their Christmas decorations. 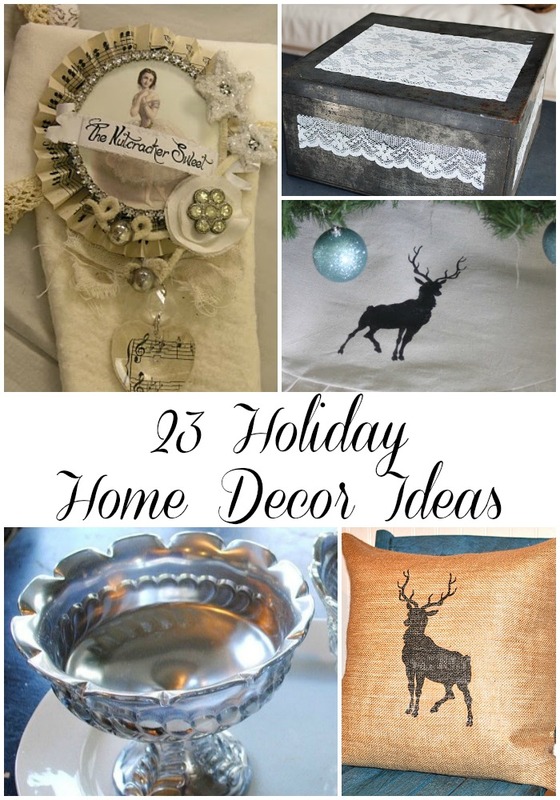 I wanted to share 23 holiday home decor ideas with you, all either made by me or with graphics from my site, to get you inspired to add a little holiday decorations to your home. 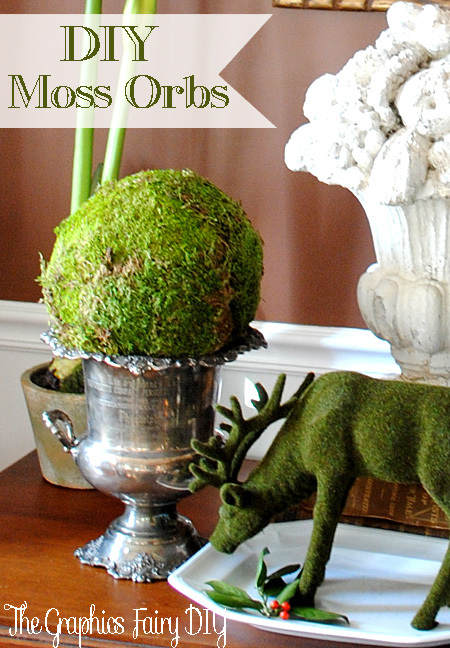 Let’s start with one of my absolute favorite projects I’ve shared: DIY moss orbs. They add the perfect touch of greenery to my holiday decor each year. 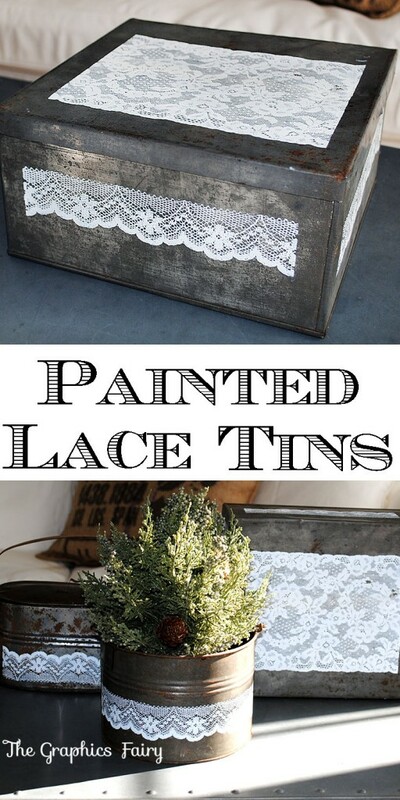 If you want super fast and easy project that makes a big impact, try making some painted lace tins to add to your decor. 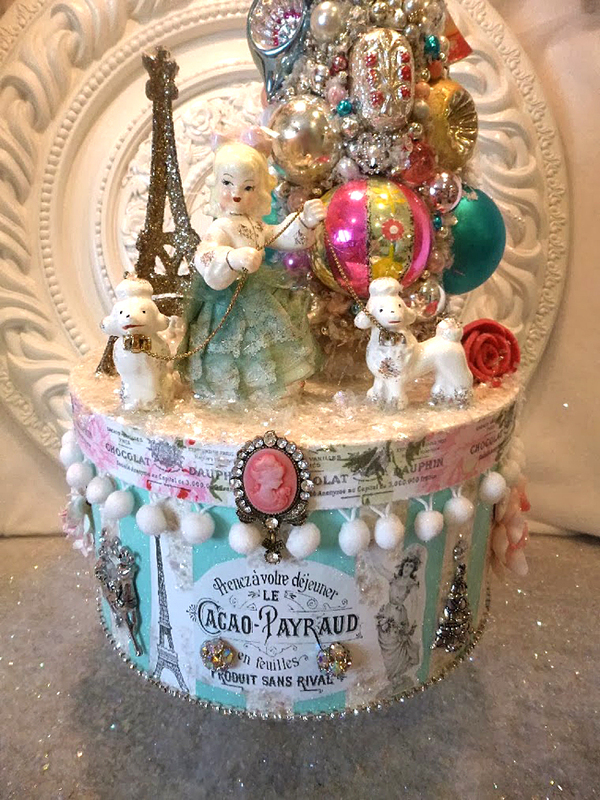 Grab my French Frame image and create a gorgeous Christmas box like this one from Ms. Bingle’s Vintage Christmas! 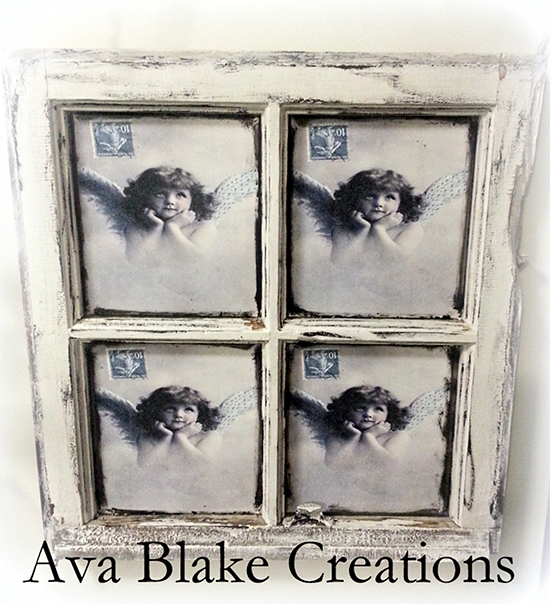 I love using angels in Christmas decor and this DIY Angelic Vintage window, from Jenny at Ava Blake Creations, is definitely no exception. 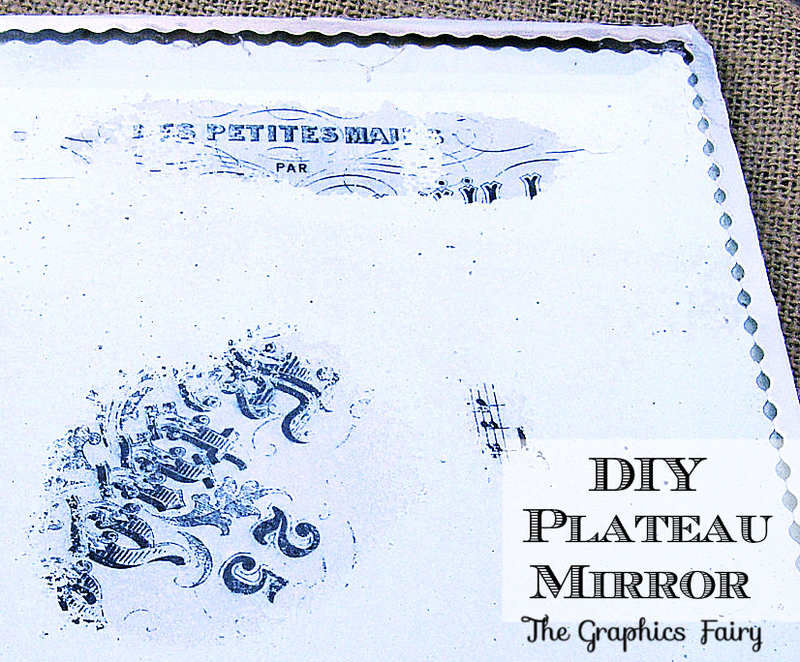 It is such a gorgeous way to use the Old French Photos – Angel Sisters graphic! 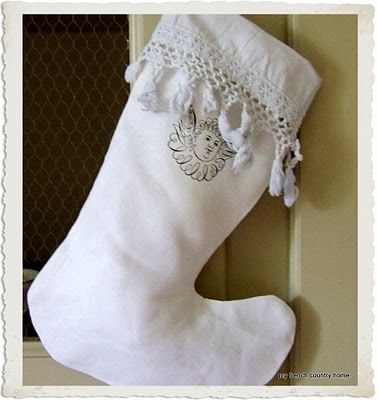 A pen flourished cherub makes a great stocking adornment. 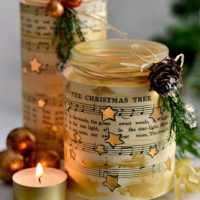 This version from Sharon, at my My French Country Home, looks so perfect for Christmas. There are so many amazing projects to make with book pages. 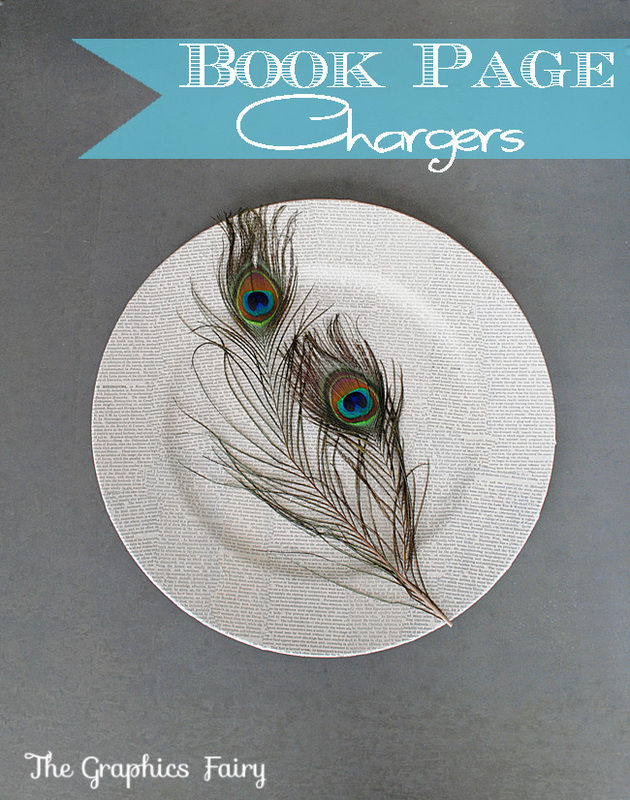 A perfect Christmas idea: book page chargers to add a little something extra to your holiday table. It isn’t the holidays without touches of mercury glass to add a little shine to your holiday decor. 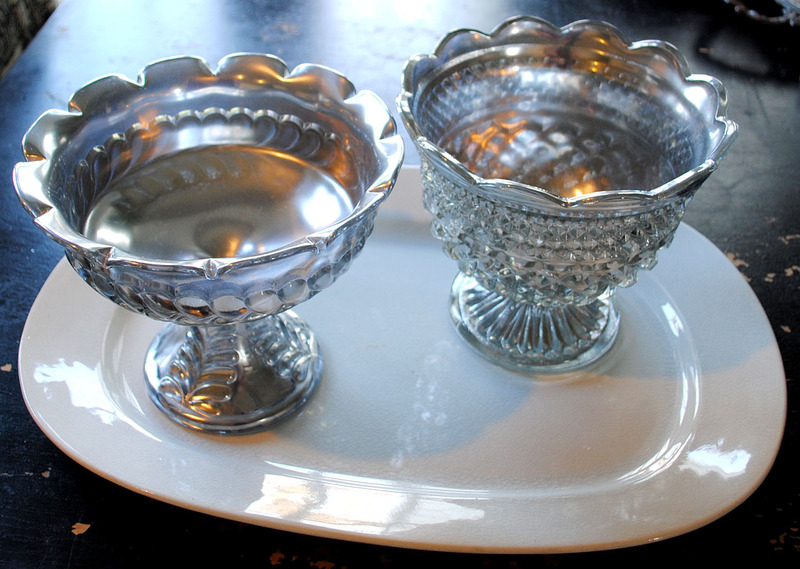 Mercury glass can get expensive though so consider making your own mercury glass faceted bowls instead with this easy to follow tutorial. 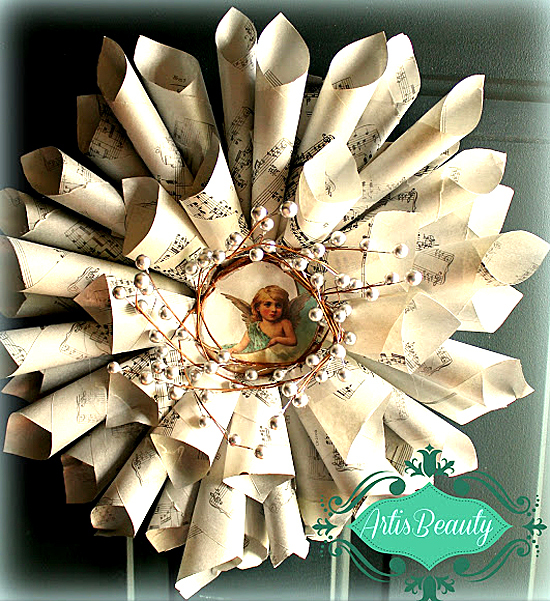 Isn’t this sheet music wreath, made by Karin at Art is Beauty, absolutely stunning?! She used my Angel on the Moon image to complete the center and it works so perfectly there. 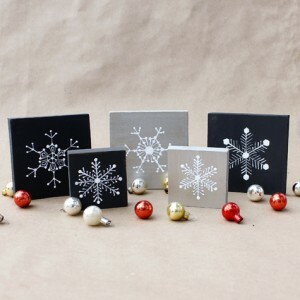 You can’t have the holidays without snowflakes. 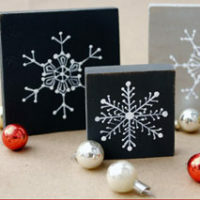 Grab some snowflakes from The Graphics Fairy and then use them to create these super cute homemade snowflake blocks! A handmade tree skirt adds the perfect touch to your Christmas tree. 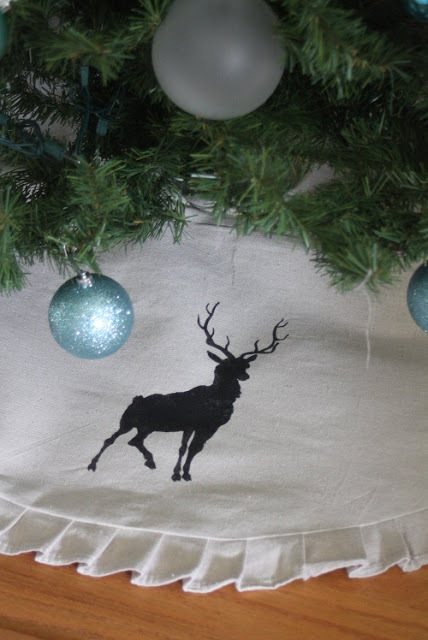 If you have a gorgeous reindeer on your tree skirt, it is even more beautiful! I made a reindeer and ruffle tree skirt that I dream about putting around the tree each and every year as we unpack our holiday decorations. This French inspired Christmas box combines my French Cacao Printable with gorgeous glass ornaments. 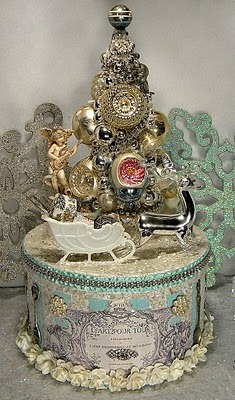 Ms. Bingles Vintage Christmas has all the details on how she created the gorgeous box. Old sweaters are ok for the donation pile but consider using them in your holiday decor instead. This cable knit sweater wreath is so easy to make and works perfect with your holiday decorations. How great is this Santa sleigh from Jeanine at Okio B Designs?! 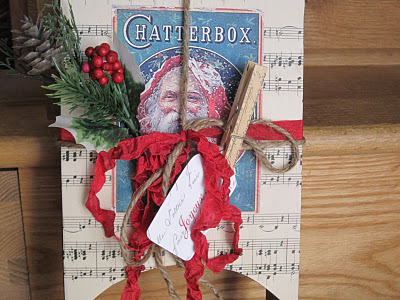 She used the Chatterbox Santa image which goes so perfectly on the sleigh! Shadowboxes are great for decorating. 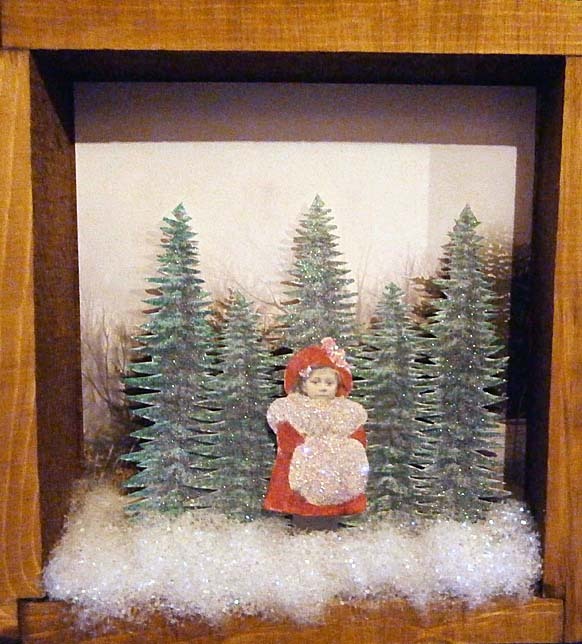 This one, from one of my readers, uses the winter girl photo and Botanical Christmas Tree images to create the perfect Christmas shadow box. 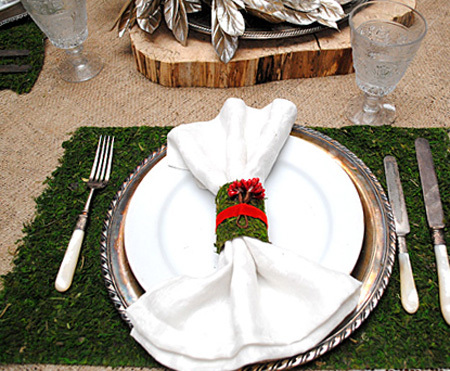 Add hint of red and green to your holiday table with these super easy to make moss napkin rings. The best part is they start with something you are guaranteed to already have on hand! Display some of your most gorgeous Christmas decorations on top of a DIY Plateau mirror for the perfect added touch. I’ve got a whole tutorial on how to make your own mirror! You can even dress up your furniture for the holidays! 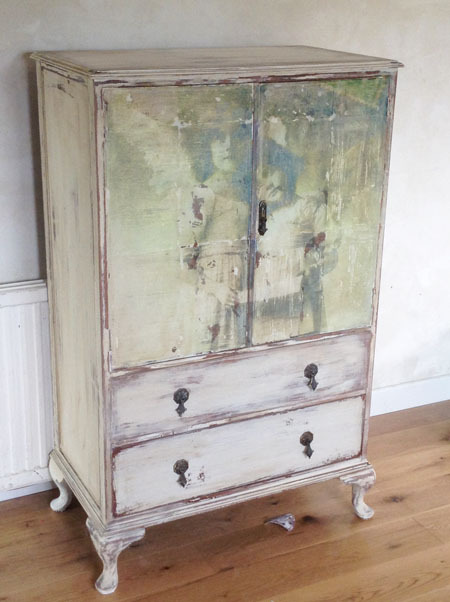 One of my readers, Jo, used the Old French Photo – Angel Sisters graphic to create the most gorgeous painted cabinets. 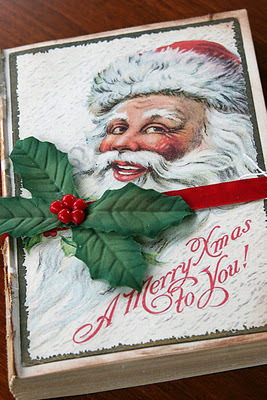 Use the Jolly Santa image to create a super cute Christmas book. Jane at Mamie Janes has a great example of one she made and shares two others too. One of our readers used the Reindeer with Antlers Silhouette, part of my Vintage Clip Art collection, to create the perfect rustic, burlap reindeer pillow. 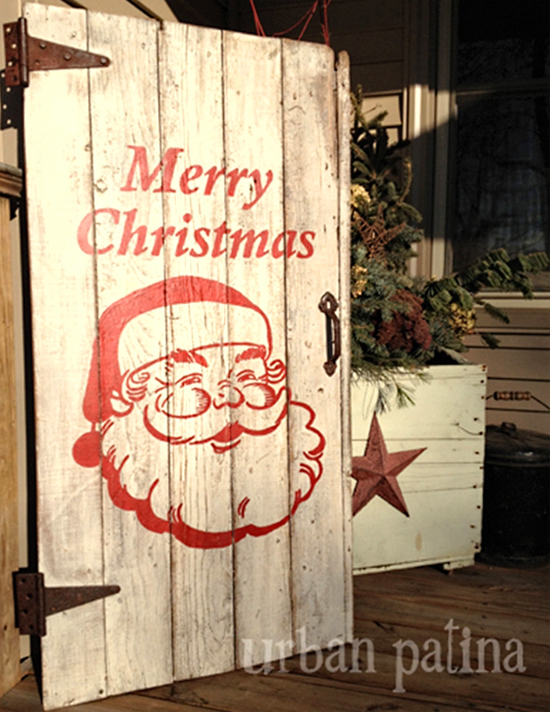 Create a super cute retro Santa sign using Retro Christmas Clip Art – Jolly Santa. I love this one from our reader over at Urban Patina. Advent calendars can be a great way to add a little extra holiday decor to your home. 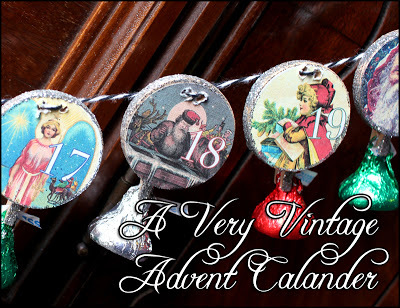 This vintage Advent calendar combines gorgeous, vintage images with little chocolates to count down to Christmas. 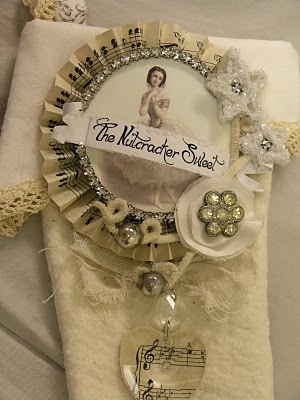 If you love the Nutcracker, this Nutcracker inspired stocking from Thespa at Vintiquities is for you! She used the ballerina image to make it complete. 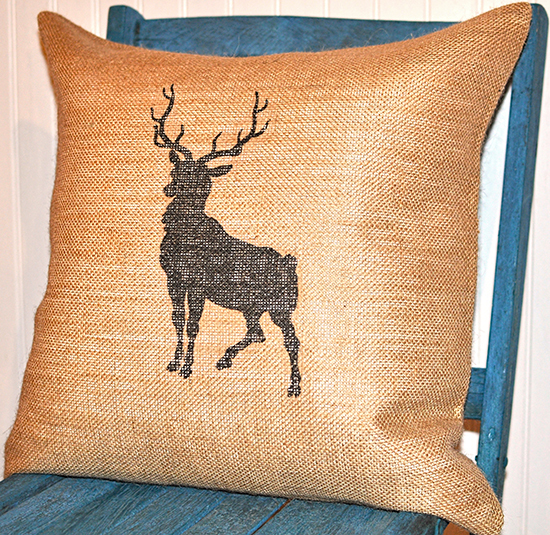 Welcome guests to your home with a gorgeous Christmas pillow this holiday. 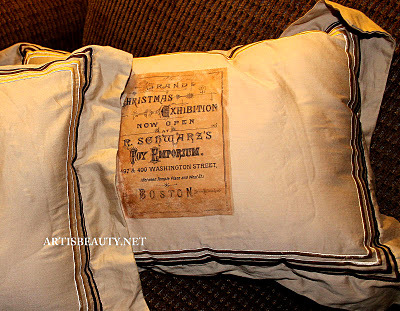 Art is Beauty used my Toy Emporium Ephemera to create her beautiful pillow for the holidays. I think my favorite decoration here is the retro Santa sign. There’s just something so satisfying and appealing to that kind of retro style. I’ll have to borrow some of these ideas for next Christmas. Thanks for sharing!